I know, I know, it’s one of our “catch phrases” that you’re probably sick of hearing, but that doesn’t make it any less true: you need to have your book professionally edited! Proper editing can make all the difference between a book that makes a splash with readers and one that goes over…well, like a lead balloon. But, how do you go about doing that? Where do you find qualified editors? How are you sure you’ve chosen the right one? Like many things in the self-publishing world, a little bit of common sense (and wariness) can go a long way — there are all kinds of unscrupulous folks out there ready to take your money, but we want you to be able to choose an editor with confidence. With that being said, we turn to our indie author friends. Since many of you have experience with editors, we want to open up this discussion to the self-publishing community! How and why did you choose your editor? What services did your editor perform (proofreading, copy editing, content editing)? Did you feel the cost was reasonable? Would you choose to work with this person/team again? Is it important to have a good personalty/genre fit, or is editing relatively universal? What advice would you give to other indie authors seeking editing services? I found one editor through a recommendation from another author. She did good work but her schedule was so overrun that it took too long and I had to find someone else for my other projects. Even that author had to find someone else. Boo. I found two other editors through an author loop that I am on (IndieRomanceInk). It’s a very large group so it’s easy to get recommendations for services, plus they have a database. I use a lot of critique partners and beta readers, so by the time I’m ready for editing, I am mostly looking for grammar and typos. That means proofreading (although some people call copyediting the same thing). That’s why it’s important to read their offerings closely and also to have a sample edit done. People’s definitions vary. 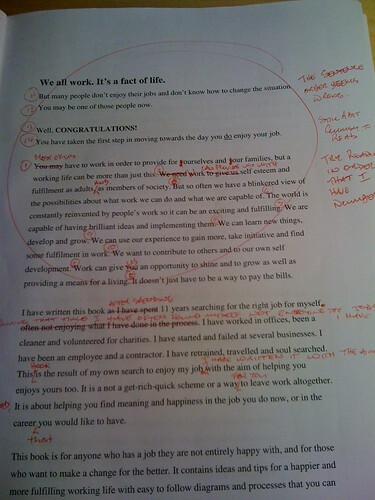 I had someone offer a copyedit and content edit, but she marked less things than someone who did a straight proofread. Yes, I was looking for low cost options. The lowest cost one turned out to be (surprise, surprise, haha) not good enough in terms of quality, but I found a happy medium.Is it important to have a good personalty/genre fit, or is editing relatively universal? For copyediting/proofreading, I think it is universal. I had them mark a few things that I felt were stylistic choices and I just kept them my way. Get a sample edit done. Seriously! Most editors should offer a certain amount of pages (like 1 or 5 or 10 or whatever) but even if they don’t but you really want to work with someone, go ahead and pay to get those pages done before signing up for your whole manuscript. Also keep in mind that the established (and presumably, best) editors are going to have wait times. You should inquire months in advance of when you need it, just to be sure. Wow — thank you so much for this, Skye! What wonderful advice for other indie authors. I’m so glad you found a happy medium that worked for you. We really appreciate you sharing your experience! I found my editor through my Sisters in Crime mystery writers group. She’s a published mystery author herself and asked me to send her a “sample” chapter for her to edit so we could see if we were a good match. I liked what she did and appreciated her insights into the mystery publishing industry so I went with her. I think her pricing is a bit on the high side, though this is the SF Bay Area where everything costs more. And she’s not just looking at typos – she’s looking at story and character issues as well, which I understand adds to the cost. Thanks for sharing your experience, Kirsten! Sharing a sample edit is a great way to see if there’s a good match between author and editor. I’m curious — did you contact her also wanting/knowing that she also did content editing (character/story issues), or is that just part of her process? I’d love to hear people’s experiences as I’m an editor looking to work with sci-fi/fantasy writers, and haven’t built up much word of mouth. How would any of you respond to a newer editor like me if I contacted you instead of the other eay around? Hi Christina! I’d love for you to shoot us an e-mail — we’re building a list of editors who work with indie authors and would like to add you to it. A great resource for finding an editor are editorial associations within your own country. I suggest the Editors’ Association of Canada in Canada and the Editorial Freelancers Association in the US. Full disclosure: I’m a freelance editor in Canada and member of the EAC. Thanks for those resources, Jessica! Member or not, a recognized group will certainly make many writers feel more at ease! I hope this doesn’t come off as an ‘ad’, but in full disclosure I am the Marketing Director at Kirkus Reviews. self-published authors access to the publishing industry’s top editors. and corrections from editors who have worked on books published by the top publishers in the United States. I’d love your direct feedback regarding selecting an editorial company versus selecting an individual editor. Thanks for sharing your work, Casey! It sounds like a great resource for indie authors.